There are many wonderful places to take a vacation, and it can be a difficult choice to decide where you wish to go. For families, you want to make sure there is plenty to do, and if you are looking for a romantic break for a couple, you want privacy and seclusion. Of course, it would be lovely to take a break in an exotic location – somewhere far away from home and as different as can be – but surely that will be very expensive? In this era of cheap and frequent air travel, even the most remote and exotic destinations are reachable, and you may be surprised to find that some of the best are closer to home than you may think. Hawaii is a dream destination for many a family holiday, but many dismiss it as being too expensive. However, that’s without considering the excellent value vacation rentals in Maui, one of the most beautiful of all the Hawaiian Islands, and a place that really is a genuine tropical idyll. The benefits of a rental, which you will find gives you access to one of the many beautiful beaches on the island, are many, with convenience and privacy perhaps the most important of all. Consider this: why would you book a hotel – and there are many fine examples on Maui that offer excellent service and accommodation – when you can rent a luxury beachfront villa in a prime location for a similar price and duration? Think of the benefits: you and your guests or family have direct access to one of the finest beaches in the world; you can come and go as you please, cook your own meals – indoors or outside – as and when you want, and you have luxurious fixtures and fittings, a pool and more. It’s not really a decision, as it is practically made for you! Here’s a good example of such accommodation: Turtle Beach Villa is a stunning, 3-bed villa that sleeps up to 6, in a prime location right on the golden sands at Lahaina. Spectacular views of the ocean are yours for the taking, the house has its own gardens that are completely private, and you also have a barbecue for those alfresco evening meals, and your own private pool for cooling down in the heat of the day. Inside is everything you could need, including luxurious fixtures and fittings, making this a perfect villa for the very best family holiday on Maui. There are plenty of other choices of beachfront houses and villas, including smaller single-bedroom properties on exclusive resorts that are perfect for couples wishing to take a secluded and private romantic break, and we recommend you check them out to find one that has everything you need and is within your allotted budget. Believe us when we assure you that you really can afford a luxury beach holiday in this exotic and engaging island paradise, and it’s one you will remember for a lifetime. Maui, like all of Hawaii, is about relaxation; the pace of life here really is different to anywhere else, and you will find that time slows down as you lay back on the beach, or on the sun loungers beside your private pool, to enjoy the wonderful Hawaiian weather. Take a trip into the town, wherever on the island you may be, and you will find a warm and friendly welcome wherever you go; it’s simply the famous Hawaiian hospitality, and nobody does it better! Check out the local markets for fresh produce to cook on your barbecue back at the villa; we recommend you buy the fresh seafood, usually landed that morning and as fresh as it gets. Or, you might want to find a restaurant or café to eat out, one where you can sample the local cuisine as cooked by local chefs. You can find a wide variety of restaurants, and we recommend you check out Da Kitchen, where you will enjoy a wide choice of authentic dishes, and large portions that are great for sharing. Café O’Lei, located at The Dunes golf club, is also recommended for excellent value and great food – in particular the lunch specials – and you will find that the portions here are also big enough to share, so it’s a great place to take the family for lunch. You will find lovely, friendly cafes off the beaten track in the major towns, too, so take local recommendations and enjoy the very best of the hidden eateries on Maui. You cannot visit Maui without experiencing the most famous of the local landmarks, volcanoes. The Hawaiian Islands are volcanic in nature, and you can take guided tours to view the magnificent and mysterious volcanoes up close, the recommended option as it can be dangerous to do so alone. It’s an experience that you cannot find elsewhere in the world, as the volcanoes on Maui and across Hawaii are unique in nature. 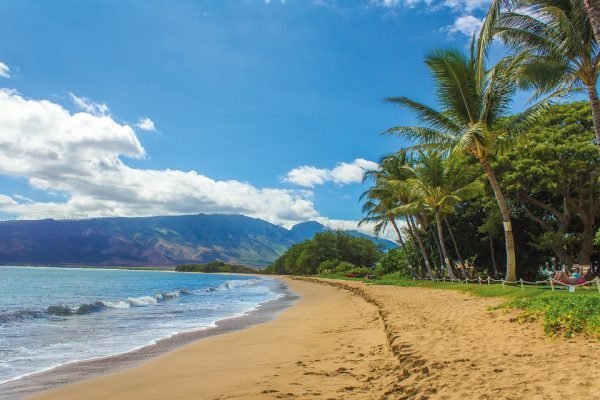 Maui really is a place away from it all, somewhere quite unlike anywhere else, and it pays to take local advice on where to go and what to do. Snorkeling and scuba diving are highly recommended as there are magnificent coral reefs, so take time out from your luxury villa to enjoy Maui to the full, and we are sure you will want to come back again to this genuine island paradise.